Bu çalışmada stereo kamera sistemi ile farklı cisimlerin derinliklerinin yani paralel kamera düzlemine uzaklıklarının tespit edilmesi amaçlanmıştır. Kurulan test düzeneğinde sağ ve sol görüntünün elde edilmesi için iki adet sabitlenmiş kamera ve bunlardan alınan görüntüleri işleyen bir adet bilgisayar bulunmaktadır. Kameralar sabit olarak yerleştirildikten sonra satranç tahtası yardımıyla kalibre edilmiştir. Kalibre işleminden sonra her iki kamera için esas ve temel matrisler, birinci ve ikinci kameralar arasında dönme ve öteleme matrisi bulunmuştur. Ardından sol ve sağ kameradan alınan iki adet görüntü üzerinde doğrultma işlemi gerçekleştirilmiştir. Buna bağlı olarak derinlik haritası ve uzaklık bilgisine ulaşılmıştır. Derinlik bilgisi bulma işleminin robot ve araçlardaki uzaklık algılama sistemlerinden engelliler için uzaklık tayinine kadar birçok alanda kullanılması mümkündür. In this study, it is intended to detect various objects’ depths consequently distances from parallel camera plane with stereo camera system. In the established test setup, there are two fixed cameras for capturing left and right image and a computer for processing the images. After cameras were placed fixedly, they were calibrated with chessboard. Subsequently calibration; the intrinsic parameters, essential and fundamental matrices, rotation and translation matrices between left and right cameras were occurred. Then rectification process performed to the images which captured from left and right cameras. Accordingly, depth map and knowledge of distance has been obtained. It is possible to use the depth knowledge process in many fields involved robot and vehicle distance detect systems to handicapped distance determination. Hartley, R. and Zisserman, A. (2004) Multiple View Geometry in Computer Vision, New York: Cambridge University Press. Burie, J. C., Bruyelle J. L. and Postaire, J. G. (1995) ‘Detecting and Localising Obstacles in Front of a Moving Vehicle Using Linear Stereo Vision’, Mathl. Comput. Modeling Journal, Vol. 22, No. 4-7, pp. 235-246. Bertozzi, M. and Broggi, A. (1998) ‘GOLD: A Parallel Real-Time Stereo Vision System for Generic Obstacle and Lane Detection’, IEEE Transactions on Image Processing, Vol. 7, No. 1, January. Huh, K., Park, J.,Hwang, J. And Hong, D. (2008) ‘A stereo vision-based obstacle detection system in vehicles’, Optics and Lasers in Engineering Vol. 46,pp. 168–178. Sizintsev, M., Wildes, R.P. (2010) ‘Coarse-to-fine stereo vision with accurate 3D boundaries’, Image and Vision Computing Vol. 28, pp. 352–366. Özüağ, E., Güllü, M.K., Urhan, O., Ertürk, S., İşken, T. (2012) ‘Çok-Bakışlı Stereo Yaklaşımı İle Yüksek Çözünürlüklü Bir 3-B Model Oluşturma Yaklaşımı’, 20. IEEE Sinyal İşleme ve İletişim Uygulamaları Kurultayı. Bhowmick, B.,Bhadra, S. andSinharay, A. (2011) ‘Stereo Vision Based Pedestrians Detection and Distance Measurement for Automotive Application’ IEEE 2011 Second International Conference on Intelligent Systems, Modelling and Simulation, pp. 25-29. Llorca, D.F.,Sotelo, M.A., Hellín, A.M., Orellana, A., Gavilán, M., Daza, I.G., Lorente A.G. (2012) ‘Stereo regions-of-interest selection for pedestrian protection: A survey’ Transportation Research Part C 25 pp. 226–237. Lai, X-b.,Wang, H-s. and Xu, Y-h. (2012) ‘A Real-time Range Finding System with Binocular Stereo Vision’ International Journal of Advanced Robotic Systems, vol. 9, 27. Hamzah, R.A., Salim, S.I. and Rosly, H.N., (2010) ‘An Effective Distance Detection of Obstacles in Stereo Vision Application’ Canadian Journal on Electrical and Electronics Engineering Vol. 1, No. 3, pp. 49-53. Xue, T. and Wu, B., (2014) ‘Reparability measurement of vision sensor in active stereo visual system’ Measurement 49pp. 275–282. Ross, O.M., Sepúlveda, R., Castillo O., and Quiñones, J. (2012) ‘Efficient Stereoscopic Video Matching and Map Reconstruction for a Wheeled Mobile Robot’ Int. J. Adv. Robotic Sy. Vol. 9, 120. Kytö, M., Nuutinen, M. and Oittinen, P. (2011) ‘Method for measuring stereo camera depth accuracy based on stereoscopic vision’ Proc. SPIE 7864, Three-Dimensional Imaging, Interaction, and Measurement, 78640I January 27. Budiharto, W.,Santoso, A., Purwanto, D., Jazidie, J. (2011) ‘Multiple Moving Obstacles Avoidance of Service Robot using Stereo Vision’ TELKOMNIKA, Vol.9, No.3, pp. 433-444, December. 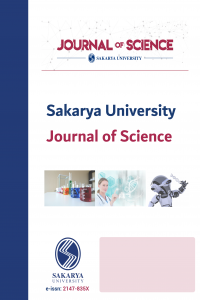 Petrović, E., Leu, A., Ristić-Durrant, D. and Nikolić, V. (2013)‘Stereo Vision-Based Human Tracking for Robotic Follower’ International Journal of Advanced Robotic Systems, Vol.10, 230. Gövem, B., Sayınta, M., Somçağ, E., Dönmez, F. (2013) ‘Stereo Görüntülerde Derinlik Tabanlı 3B Keskinlik ve Zıtlık İyileştirme Uygulaması’ IEEE Signal Processing and Communications Applications Conference (SIU), pp. 1-4, 24-26 April. MATLAB Computer Vision System Toolbox, http://www.mathworks.com/help/vision/index.html. Bradski, G. And Kaehler, A. (2008) Learning OpenCV: USA, ISBN: 978-0-596-51613-0, O’Reilly Media, Inc.
Forsyth, D.A. and Ponce, J. (2011) Computer Vision: A Modern Approach, PrenticeHall.